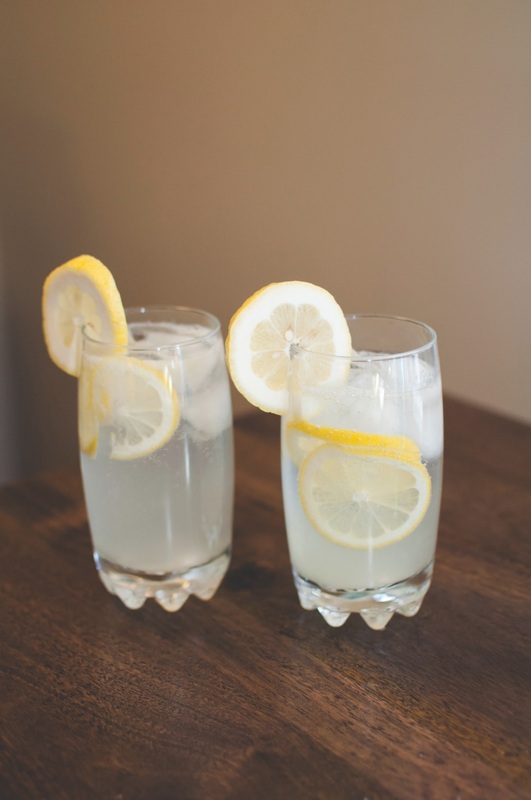 Tom Collins - An Easy Friday Beverage | La Petite Noob | A Toronto-Based Fashion and Lifestyle Blog. Happy Friday, Noobs! I wish the weather outside would match my enthusiasm for the end of the week; unfortunately there is nothing but rain, clouds and dreariness on the forecast here in Toronto. My solution (as is for most of life's little problems) is a good cocktail - and nothing is easier and more delicious then a good Tom Collins. 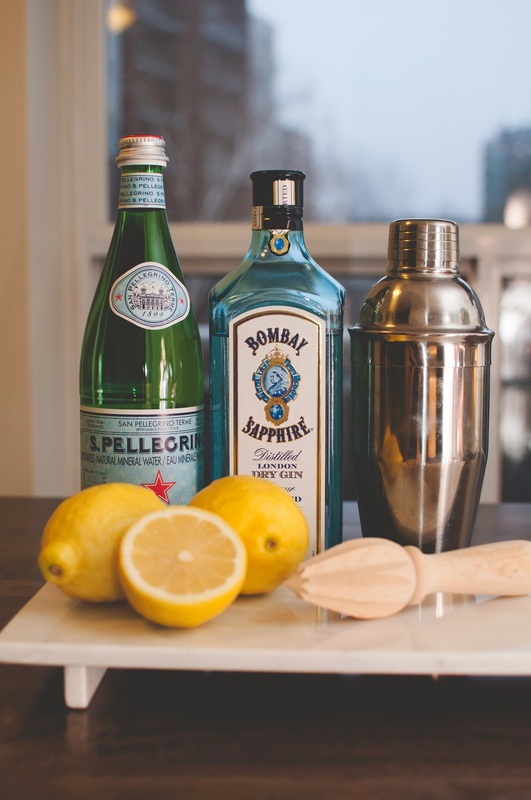 I love to whip up a couple of these babies after work, or as a simple cocktail to serve to guests - the slight sweetness of simple syrup and tarte lemon flavours mask the strong herbal taste of gin, so even the most finicky of friends will enjoy this drink. Read on for the full recipe, and additional photos. Start by preparing your simple syrup, if you don't already have some pre-made on hand. 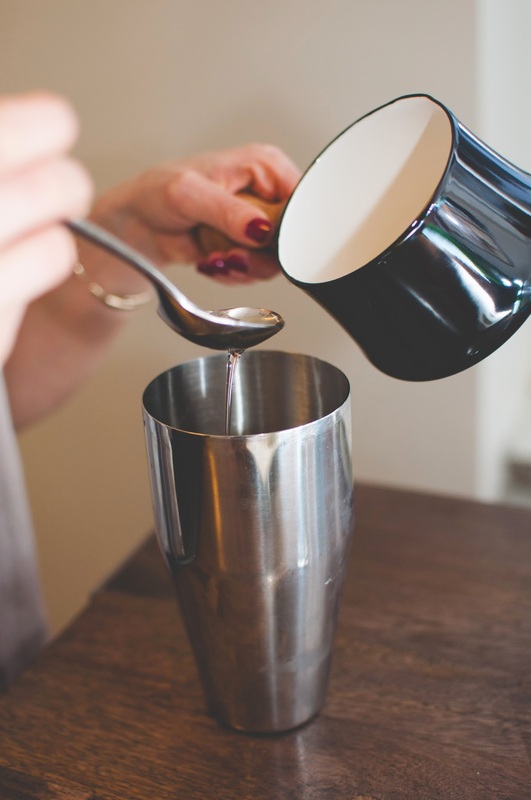 Simple syrup is an essential when making sweetened cocktails, and is incredible easy to make. Bring one part sugar and one part water to a boil in a small saucepan, stirring until the sugar has dissolved (this doesn't take long). 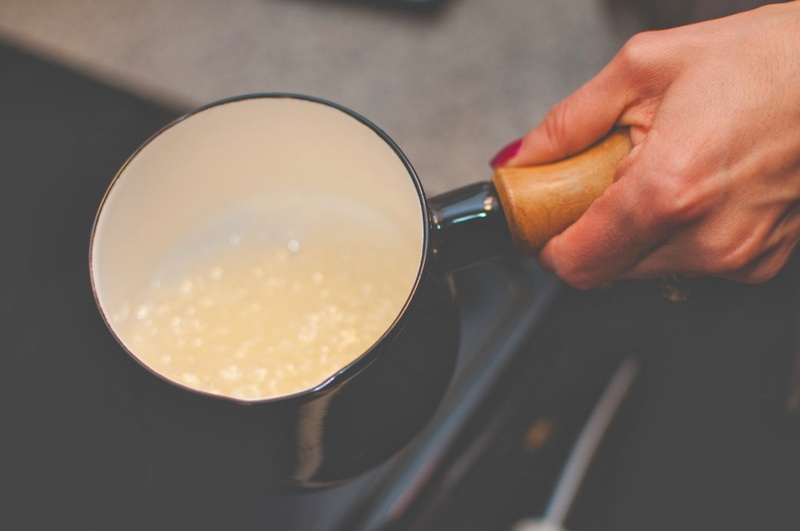 Once the sugar has dissolved completely, take the saucepan off the heat and let cool. Voila! Simple syrup that will last a good while in your fridge - barring that you store it in an air tight container. 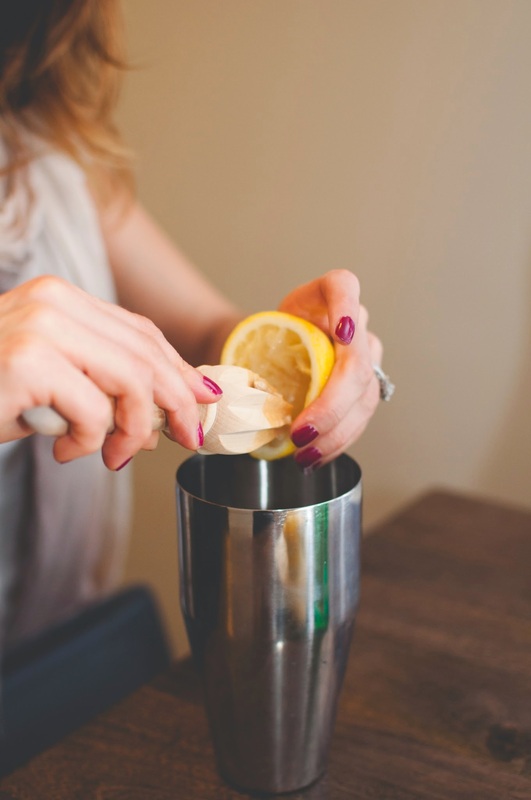 The next step is to juice your lemon into a cocktail tumbler filled with ice, using a hand held juicer. You can of course purchase pre made lemon juice from the grocery store but I find that fresh is always better . Next add your gin. I chose to add one and a half ounces to a tall rocks glass, diluting the alcohol level a fair bit and making it a safe post-work drink. 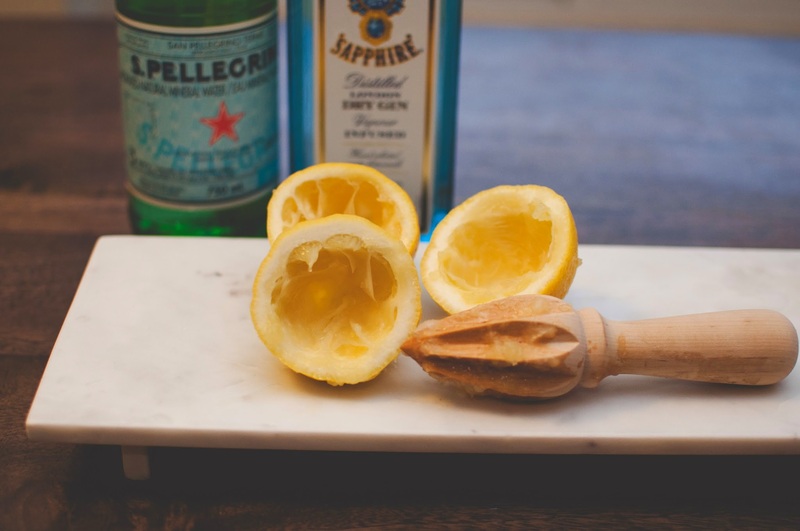 You may wish to make this cocktail in a short rocks glass, using the same amount of gin but dividing all other ingredients in two. This will produce a much more potent cocktail, but if that's how you roll then power to you! Next add in your simple syrup. You can see that the consistency is very much like a light syrup, making it very easy to add into cocktails. 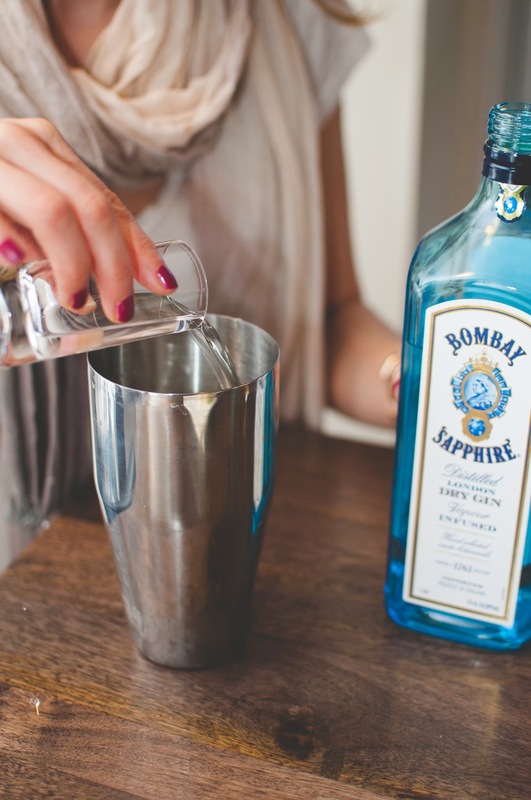 Give that cocktail tumbler a good shake, and pour into a tall glass with ice cubes. I'm making two at a time - one for me and one for my husband. 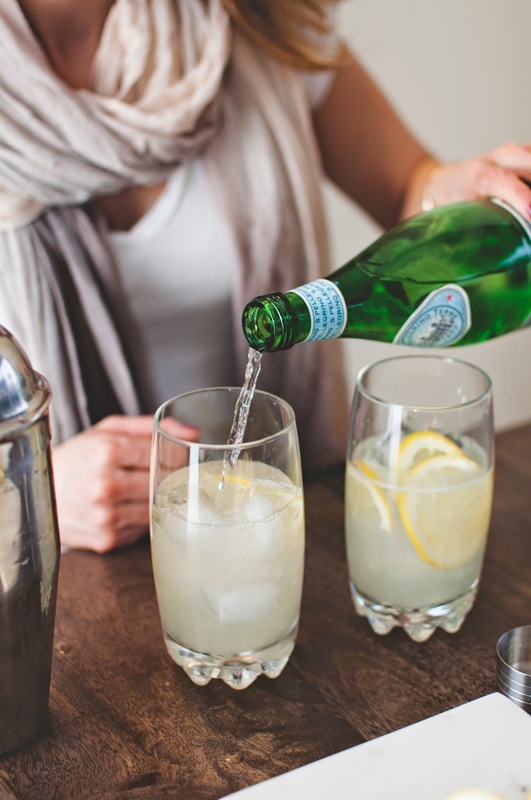 Add your carbonated water. 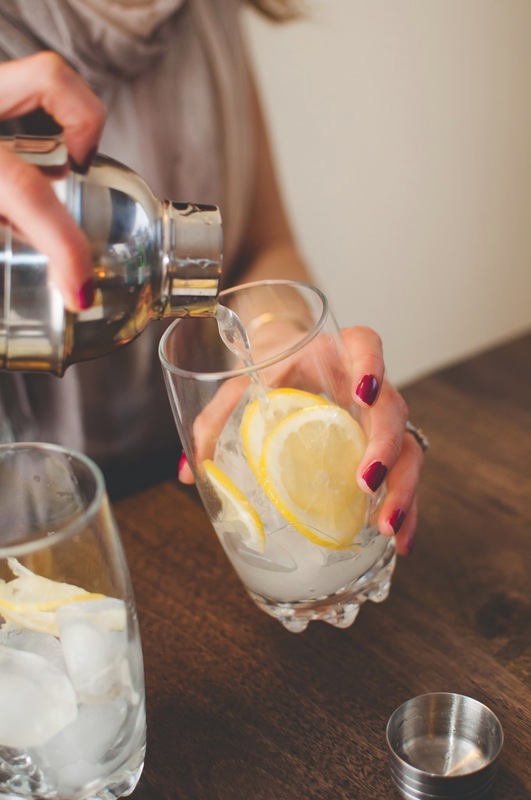 Traditionally, the Tom Collins is made with Club Soda - I don't like as much carbonation in my drinks, so I opt for a naturally mineralized water that is bottled at the source. Add your garnish and enjoy! I added a lemon wheel, but you can also opt for a more traditional orange slice and maraschino cherry. 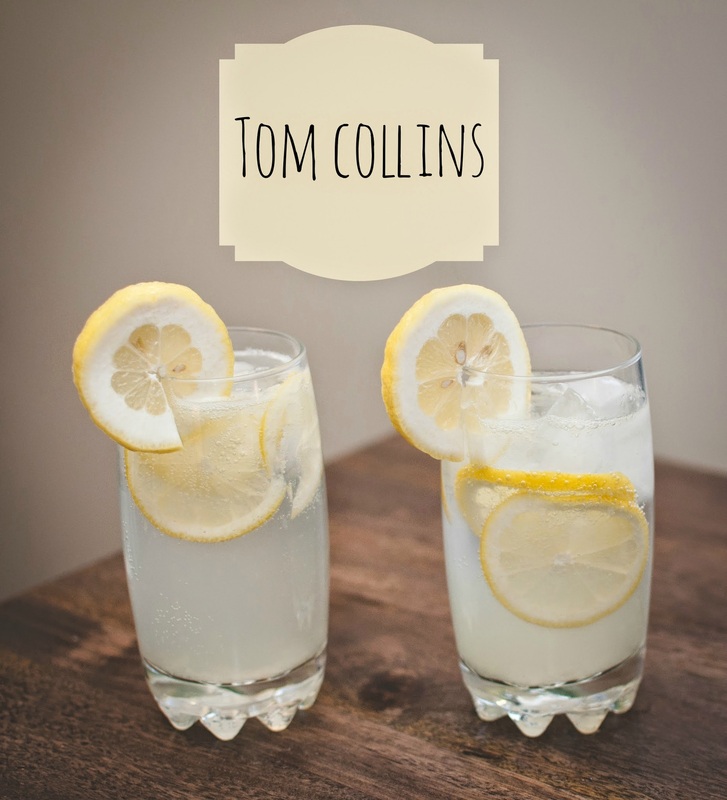 Try out this delicious Tom Collins and let me know what you think. Cheers to the weekend - we all deserve it! YES! Let me know you're favourite weekend-off cocktails - I'm always looking to add to my 'sanity' list! Oh yum! This is a must-try! I am partial to drink recipes that call for only one type of liquor because what if you bought several bottles to try a recipe you didn't end up liking?! Thanks for the step-by step. Same here! I definitely have some liquors in the cabinet with dust on the bottle, only opened once to try a new drink recipe and never touched again - a waste of valuable liquor cabinet space! Where I live it is simply not warm enough for a Tom Collins in April. I cannot wait until the temperature makes this drink a suitable conclusion of my days again. For some reason I never had it with a cherry yet. Another good resolution for the summer - and so easy to put into practise.